The Norwegian tween film Los Bando, the strong drama As I Fall and the project Sisters were among the winners in Tallinn during the Black Nights/Just Film festival and European Film Forum Tallinn. Los Bando is a crazy road movie about a young band from Norway, Los Bando Immortale. They set out on a journey across the country to attend the National Championship of Rock in a race against time, the police and their parents. The latest prize to be rewarded to the Norwegain film was European Children`s Film Association (ECFA) prize, handed out during the Just Film Festival in Tallinn. Just Film is a part of the Black Nights festival. Since its international premiere in the Generation section at the Berlinale, the film Los Bando has been sold to Belgium, The Netherlands, Estonia, Poland, Germany, Spain, Croatia, Slovenia, Bosnia-Hercegovina, Montenegro, Macedonia, Serbia and Sverige. 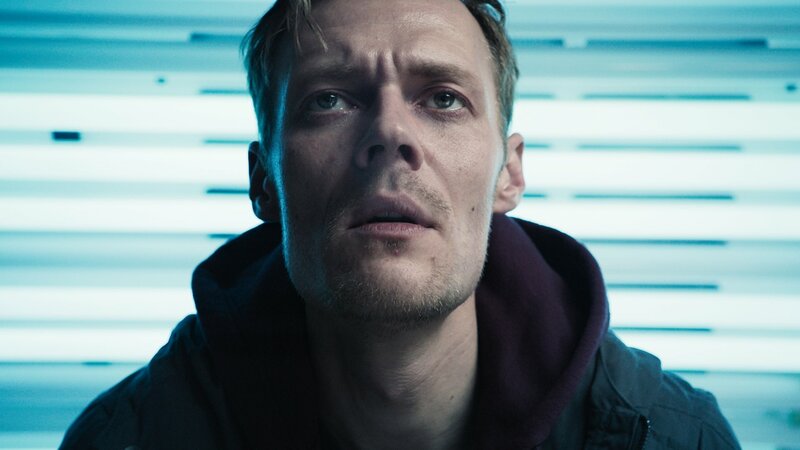 Magnus Meyer Arnesens debut feature, the drama As I fall, received Special Jury Prize #1 in Tallin. As I Fall follows the unconventional relationship between a father and son as they cling to one another under the looming threat of addiction and separation. "We are happy to give our first nomination to a film that is in true sense a "well made film". It's realistic, it is pure, it is enjoyable to watch. Made from the perspective of a drug addict, the film allows us get under the skin of the main character, to feel his struggles, to understand the reasons of the destructive choices he so often makes. Strong directing and performances makes this a film that well exceeds the expectations of a debut. Right from the first scenes, this magnetising film captures the viewer, and doesn’t let go even long after the closing credits have run out. We cannot wait to see the director's second work!" The new project Sisters by writer-director Arild Østin Ommundsen and partner Silje Salomonsen, received the Work in Progress Awards in European Film Forum Tallinn. The Gary Cranner for Chezville-produced story in Sisters is about calm Vega (9), her wild sister Billie (5) and their outdoorsy Daddy who go for an overnight hike in the wilderness. The trip is all fun and games until Daddy falls into a mountain crack and hurts himself badly. Unable to move, he tells the girls to go and find help. Together Vega and Billie set off on a mission across the wild Norwegian nature, and must brave wild animals, exposure, each other and their own fear. They meet a number of grown-ups, but none of them are able to help. In despair, they take matters into their own hands and decide to return to the crack and try to save Daddy all on their own. 400 000 Euro-budget film is to be completed in November 2019. Arild Østin Ommundsen debuted with comedy hit Mongoland in 2001, and followed with surf drama Monsterthursday (Sundance, 2005). It’s Only Make Believe (2013) was nominated for ten national film awards and Now It’s Dark (2018) confirmed his standing as one of the most interesting auteurs in Scandinavia. Silje Salomonsen is a debut director, and has a background in acting, playing the lead in It’s Only Make Believe and Now It’s Dark in addition to Jannicke S. Jacobsen’s upcoming The Domestique.